Fiji is made up of around 222 islands (110 uninhabited). The official language is English with the most common indigenous language being Bauan. There are however numerous other dialects representing the fourteen Provinces. Fiji’s people are renowned for their wide smiles and generous and hospital personalities. These islands are a diverse mixture of some the most prominent religions and ethnicities in the world. The Christian, Hindu and Muslim religions are all represented followed by the Sikh, Baha’i and Confucianism faiths. 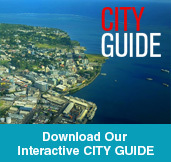 Suva’s abundance of rich cultures and religions make it a fascinating and intriguing place to visit. A smile is something that people worldwide relates and responds to irrespective of culture, race, or religion. Fiji, not just Suva, is filled with a thousand smiles wherever you look. Island people are renowned to be the friendliest in the South Pacific and Fiji is no exception. Whether walking into a shop, on the streets or driving in a car, every face you see will welcome you with a bright smile. It is a large part of our identity and something that we Fijians are proud of. Fijians are proud of their traditions which have remained in place throughout the centuries. These staunch traditions have evolved through modern times due to influences from Pacific and Asian neighbors. With so many Pacific ethnicities and dialects compressed in one area, Fiji’s emergence as a multiracial community was a natural progression. Modernization has occurred due to exposure to Western ways via the media and international visitors. Changes to a society are inevitable when exposed to other cultures. Suva and Fiji as a whole has managed to uphold its traditions and ancestral way of life whilst practicing respect and tolerance for other religions. Suva is fast becoming the sporting centre of Fiji with most sporting infrastructure and headquarters based here. It is truly impressive to see the number of sports played in Suva and throughout Fiji. Fijians are staunch followers of Rugby and relate to it with religious fervor. 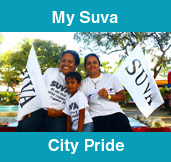 Be it a local Rugby League game between two of the 14 districts or the Rugby World Cup, Suva celebrates along with the rest of the country by donning the familiar blue Fiji flag and you can be sure that everyone throughout the country is tuned in. The support and dedication that Rugby stars receive is inspiring and it matters not whether they have won or lost. The second most followed sport is soccer. Although Fiji does not rank high in World Rankings, local tournaments are organised and played with equal interest. The biggest annual soccer event is IDC, the Inter-District Competition. Teams from all towns and cities play for the privilege of having their name on the famous trophy, which more often than not has found itself in the possession of a small rural soccer crazy town known as Ba. However, this year Suva managed to wrest it from them after a 28 year drought. It is during such games where the true Fijian spirit, loyalty and sportsmanship are tested and appreciated. 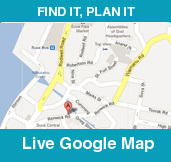 With over one hundred eateries located right here in Suva you will have no trouble finding the culinary delights you are looking for. Fijian, Indian, European, and Asian tastes are widely catered for with serves of considerable portions befitting a true islander. Restaurants are within walking distance of each other and geographically interspersed with night clubs making it easy to transit from one to the other. Or for the more adventurous, enjoy real Fijian cuisine by digging your own pit and preparing the traditional earth cooked food ‘Lovo’. This is a particularly healthy way of eating especially with the abundance of fresh vegetables, fruit and meat available. Indian spices are readily used by all sectors of the local community. They have become quite popular because of their unique blend of aromas and richness complimenting any dish. It would be hard to find any household without a spice rack. Asian cooking has also become a favourite with all nationalities. Organizations and individuals from all parts of the world converge on Fiji to carry out their work in various fields. Influential organizations such as the United Nations, European Union and Secretariat of the Pacific Community assist in reaching out to locals creating international alliances. NGO’s provide opportunities in our rural areas as well as urban through financial aid, physical support and assistance. Utilising their skills and resources they have a huge impact in assisting to create employment for young graduates. This drives the economy by using our citizens to train and support the disadvantaged or needy in whatever form it may be required. They also provide opportunities for travelling abroad and learn about other societies and cultures and share that knowledge with others on their return. These opportunities contribute to the development of our country as a whole. The University of the South Pacific is the major tertiary institution in the South Pacific. It also boasts the largest student body than any other learning centre in Fiji. Their new ICT centre, funded by a Japanese Grant Aid Project, provides state of the art ICT resources. Students can also avail themselves of world class facilities in all other curricula with advanced learning materials and conditions across a wide range of courses. Graduates from USP are qualified to work in other countries due to a curriculum that is internationally recognised and acceptance. Fiji National University (FNU) is a newly formed tertiary institute formed by the Government three years ago. It has several campuses in various locations around Fiji utilising the Government’s initiative to merge smaller learning centers, each specifically organised to cater for different levels and divisions from the tertiary level arena. FNU was formed to improve and expand the local system providing further recognition of the varied courses undertaken by graduates. FNU is also structured to provide benefits to the financially disadvantaged offering entry opportunities to school leavers that previously did not exist. 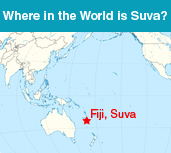 Suva is known as the City on the Sea. Approximately 50% of the city is literally floating being set on reclaimed land expanding opportunities for the building and development of infrastructure together with investment opportunities. 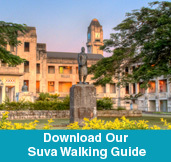 Suva is a very ‘walkable’ city offering citizens and visitors the opportunity to literally walk from one end of the city centre to the other starting from the magnificent Colonial buildings to the prolific groupings of new architecture comprised of various government departments. Walking further you will enter a serene world of vast open sea with waves restrained by the famous Suva sea wall. The sea wall is a popular location for early morning or late afternoon joggers with metal exercise props positioned every hundred meter intervals or so. A winding pathway parallel to ‘Elizabeth Drive’ has been erected offering Suva’s populace a pleasant and peaceful place to relax. Conveniently placed garden benches, interspersed with the occasional mini playground at the farthest end of the ‘walk’ are a great place for family picnics. The sea is an important element for the second largest cultural denomination in the country; Hinduism. They make offerings to the sea during weddings or other traditional functions. This attracts by-standers who enjoy a glimpse of one of the many rich cultural practices so openly displayed. Or just sit on the sea wall and take in the sheer beauty of Suva admiring the magnificent rising or setting of the sun. 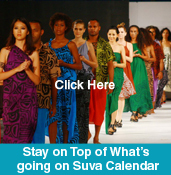 Suva is famous for hosting a prolific range of rich cultures. The beauty of having so many ethnicities living and working in one environment is a privilege that locals enjoy and cherish. This show of appreciation for one another and tolerance in beliefs and customs is portrayed everyday through sincere smiles and greetings and is evidenced regularly at public gatherings and cultural events. A popular and internationally recognized annual event, the Hibiscus Festival, is jam packed with shows, costumes, food, art work and people representing the diverse culture in Suva and across Fiji. It’s a time when people from all over the country get together for an entire week of fun and festivities. It is conveniently organized during the school break thus attracting a large number of children all eager to ride on one of the many amusement rides erected especially for the festival. The array and diverse range of foods on offer is amazing giving the opportunity to taste culinary delights from all walks of life. Marvel at the uniqueness of Fijian fashion mixing European, Fijian and Indian with a hint of Asian. These are just some of the delights on offer during Hibiscus festival month usually scheduled in the middle of the year. Fiji is represented by Christians, Eastern Indians of Hindu and Islamic descent, as well as a large group of Chinese and Buddhists. The wonderful mix of these denominations integrated in one place is a veritable religious ‘melting pot’. Another facet of these differing religious groups is their ability to practice the ‘Bula’ spirit together with its contagious smile and South Pacific hospitality. Christianity was the first religion introduced to the indigenous people of Fiji. Initially introduced by Methodist Europeans, they taught the Fijians their Methodist way of living, eradicating cannibalism and other practices that they considered unacceptable. The Fijians accepted and followed Christianity, coming to know it as the true religion. Temples and shrines representing the various religions date back to the colonial era and are truly fascinating structures. The ‘Kere Kere’ system is a well known tradition in Fiji defined as ‘What’s mine is yours’. Over the years, locals from all religious backgrounds have learnt to adopt and tolerate each other’s beliefs. Everyone is treated as family and there is no fear of division or racism. When in Fiji, you’ll experience culture and hospitality found nowhere else in the world.